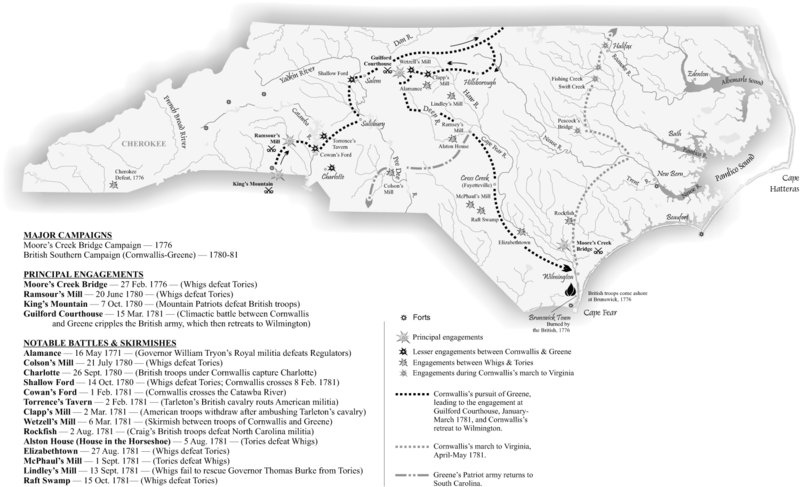 This image is a map illustrating the major campaigns, engagements, battles and skirmishes that took place in North Carolina during the period of the American Revolution, beginning with the Battle of Alamance in May 1771. Moore, Mark Anderson. [Map of Major Campaigns, Engagements, Battles and Skirmishes in North Carolina during the American Revolution.] Map. North Carolina Office of Archives and History.